With all the excitement of the re-design here at house, it has been a while since we have been able to do a food review. So, when we were invited to the Italian Café at Ocean Beach we excitedly packed our notebooks and headed on over for lunch. Located on the East Cliff, we couldn’t have picked a more beautifully sunny day to enjoy sea views for miles from their terrace. The decor is inspired by all things Italian leading us to play a game of spot the Vespa. 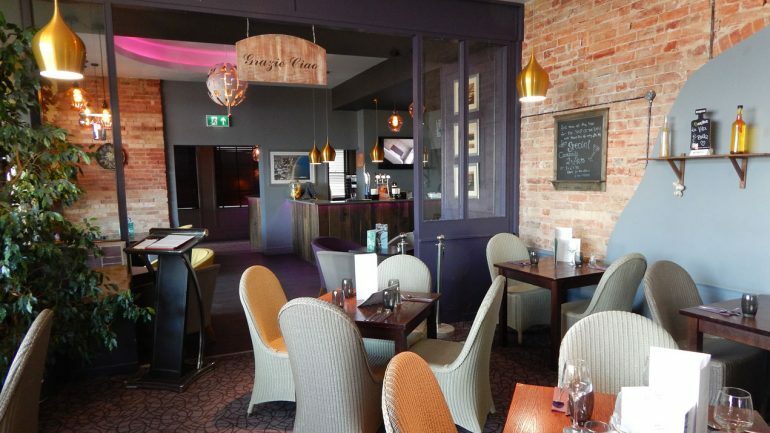 It makes for the perfect spot to relax with a drink in their Lounge Bar or to enjoy some authentic Italian cuisine. First things first, a beverage, among the selections was a Merlot recommended by our waitress, and with a sweet tooth when it comes to wine I selected a Piesporter Riesling Michelsberg J. Bihn (or number 18) which was delicious and refreshing, a perfect way to ease me into the weekend. After a morning of rumbling tummies in the office at the thought of some delicious Italian food we were keen to tuck in. For starters, the surprise dish of the table was the Tomato and Basil Soup, a simple dish normally and yet between mouthfuls it was described as a hearty soup, rich and full of flavour, and deliciously thick, it had us all a little bit jealous. However, I was quickly distracted by my selection of Bruschetta Pugliese, which my waitress told me was a dish form the region where she lived, and one of her favourites. 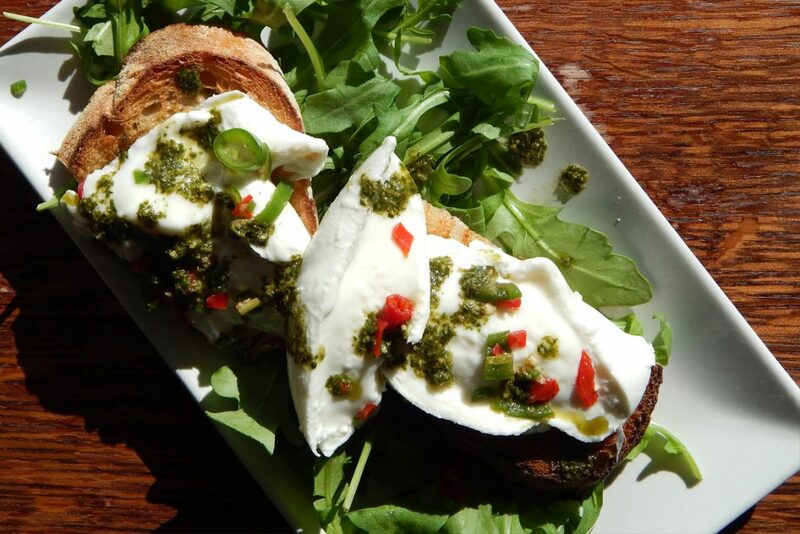 With Buffalo Mozzarella, extra virgin olive oil and homemade Basil Pesto then a subtle kick of chillies, it was a mouth-watering mix of flavours, and didn’t last long on the plate! For the main I went for a bowl of Penne al Pesto, indulgent comfort food, perfect for an autumn day, or let’s be honest, any day! Also ordered was a Meat Calzone and a Seafood Linguine which, after a few jealous stares, was quickly passed around the table for everyone to try. 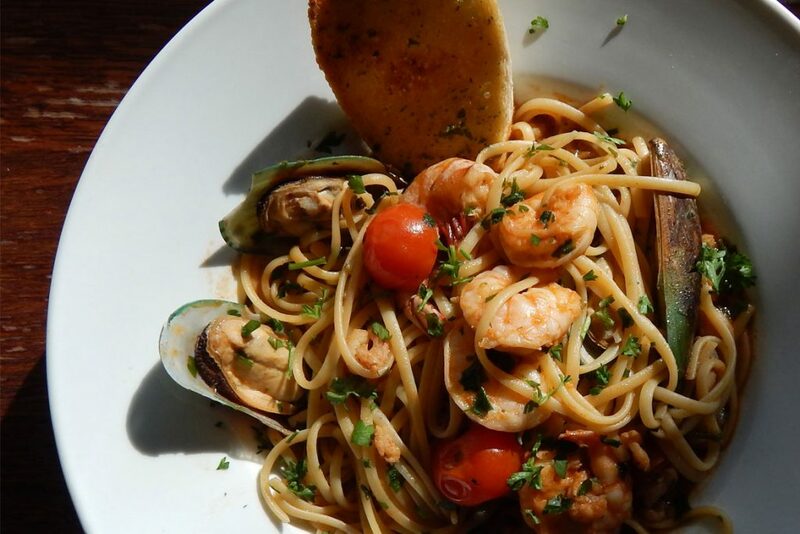 With a generous helping of fresh seafood on top of a giant pile of pasta we were concerned whether there would be enough room for dessert. However, not wanting to let down our readers, we took a look at the dessert menu. With a whole host of flavours to choose from there were some carefully selected bowls of ice-cream which went down a treat. Anything with the word Amaretto in it captures my attention, so it would have been rude not to try the Amaretto Tiramisu. It was the perfect dish to end a delicious meal. Open daily from 12pm. 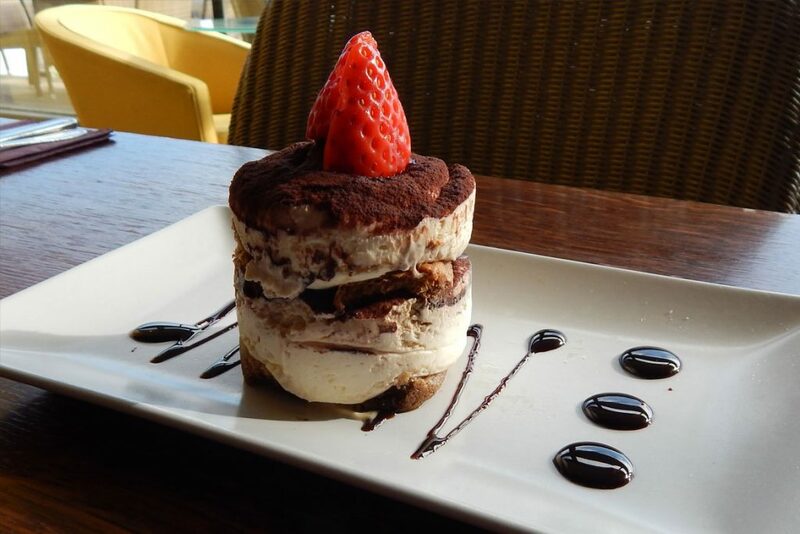 We recommend you head to the cliff top to indulge in some authentic Italian food for yourself.